Environmental friendly resin for watch band material, suitable for long time contact with skin. 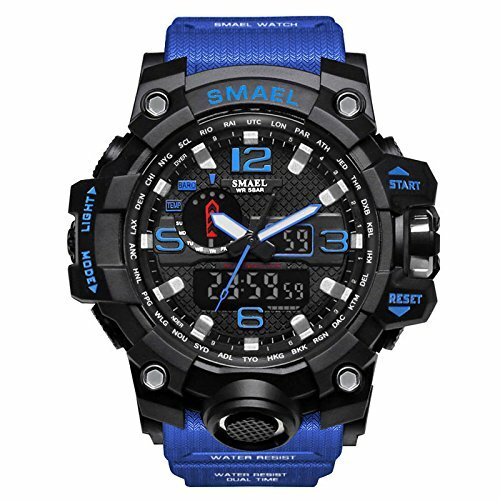 Comes with time, date, week, alarm colour, chronograph functions, meeting different requirements. High-precision electronic and quartz movement, give you a clear and precise time display. 50m waterproof, luminescence function, suitable for sports and outdoor activities. Do not set the time while under water to avoid unnecessary damage.